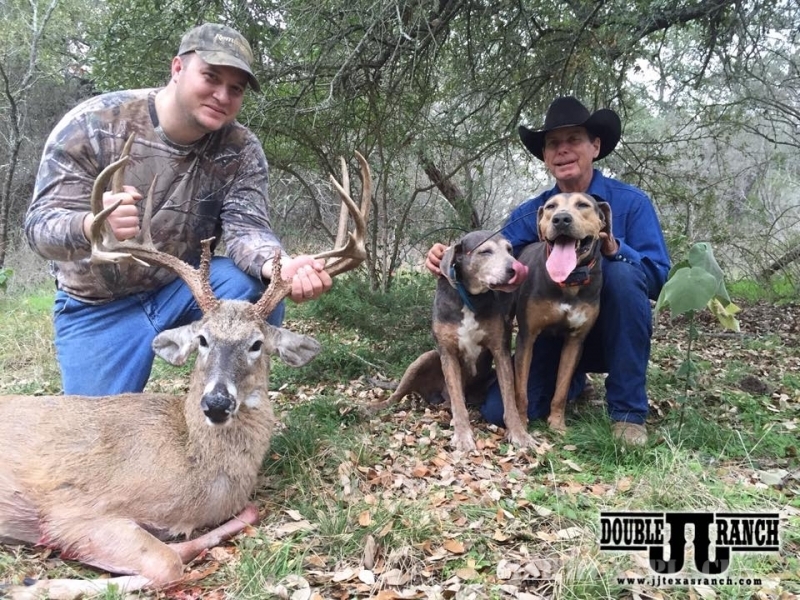 We have three ranches to offer some of the best hunting in South Texas. One of the ranches is located in Dimmit County between Cotulla and Big Wells known as the Golden Triangle of South Texas. 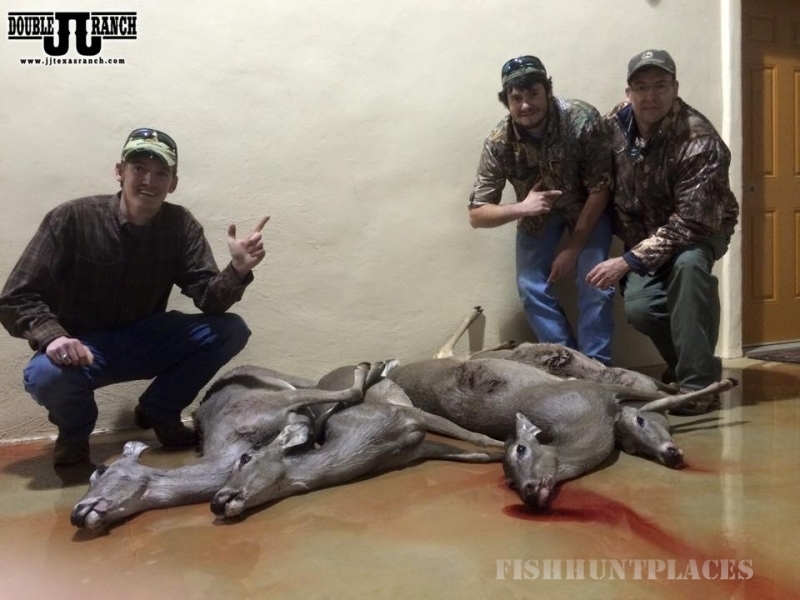 In Medina County we offer hunting in Castroville Texas and in Hondo Texas. All three ranches are high fenced to maintain the genetic integrity of our deer herd and under a strict management plan. 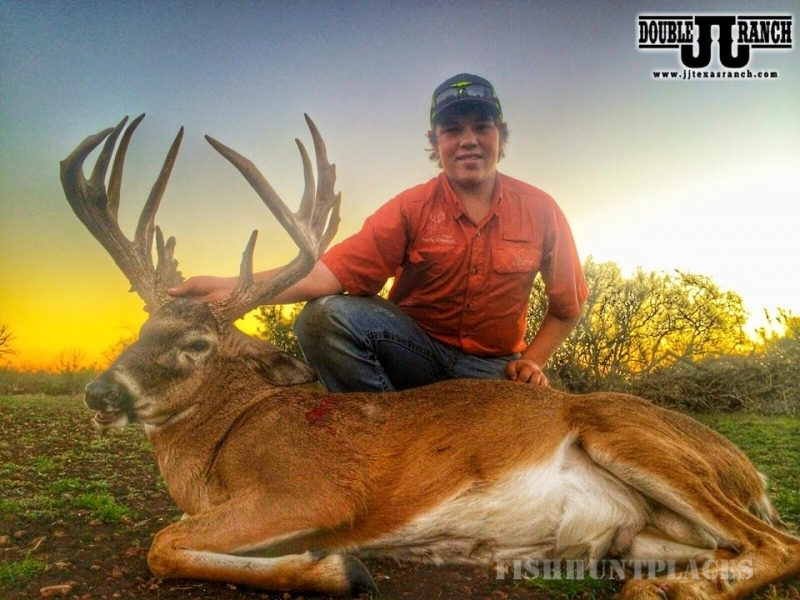 Our goal has been to offer our hunters the opportunity to hunt and harvest a truly exceptional trophy South Texas buck. Medina County ranches are in the transition zone between South Texas and the Hill Country. Parts of the ranch resemble South Texas all though we do have large oak trees and cedar trees, we are also blessed with rolling hills and deep brushy draws. The ranch located in Hondo has a New Mexico adobe style lodge with 5 individual suites. Each suite contains individual control ac/heat, satellite TV, Wi-Fi service, and a personal bathroom with a 4X4 tile shower. The lodge is built under a 60’X120’ metal hanger which allows you to enjoy the outdoors no matter the weather condition. Between the spectacular sunsets from the balcony in the evenings or the warm campfires at night there are many things to keep one busy. The lodge offers a great overview of the 10 acre lake that is great for fishing year around. The prominent amount of wildlife that the Double J offers is great for sightseeing and capturing in their natural environment. 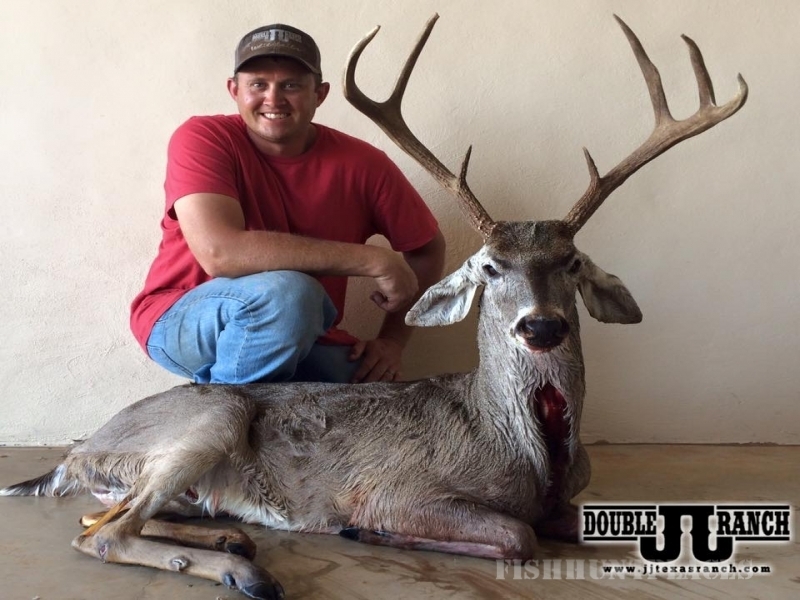 Dimmit County ranch is in the heart of the famous Golden Triangle area of South Texas known for the abundance of red sand, cactus and mesquites among producing large trophy bucks. The lodge is a New Mexico adobe style lodge with 4 individual suites. Each suite contains individual control ac/heat, satellite TV, Wi-Fi service, and a personal bathroom with a 4X4 tile shower. It is built under a 60’X120’ metal hanger that also serves as a place to hide from the South Texas heat. The atmosphere in this part of Texas is quite different to experience from its breathtaking sunsets to its abundance of wildlife. The sightings of javelinas, wild hogs, coyotes, bobcats, Bob White quail, and of course BIG DEER make your hunt here a unique South Texas experience. Each hunt is guided and takes place out of a box blind overlooking food plots and senderos. During your stay our guides take very good care of you. They will do everything from field dressing, skinning, quartering and packing your animal in ice chest. 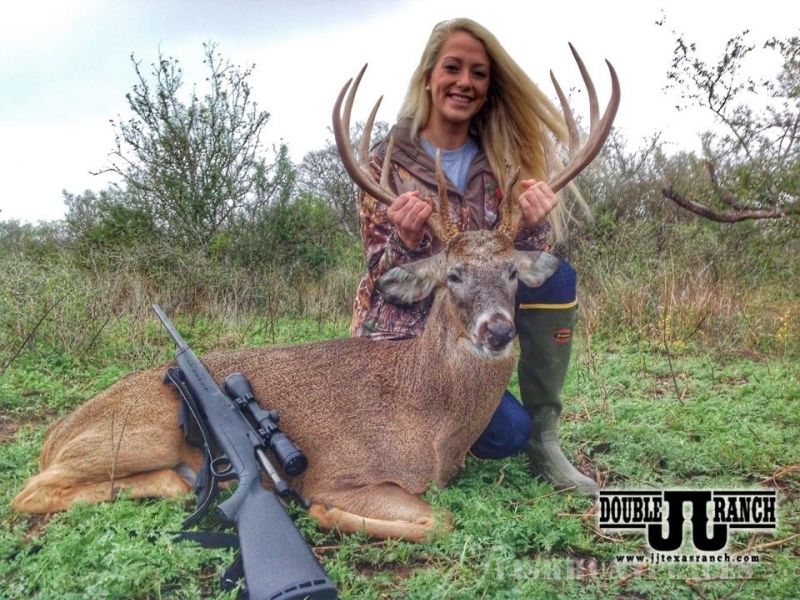 Our hunts are based off B&C gross score and are priced accordingly. Prices are all inclusive with the exception the hunting license and personal effects. Our hunt cost is based on B & C gross scores and are priced accordingly. Prices are all inclusive with exception of hunting license and personal effects. Average tip to guide and cook is 10% of final cost based on their performance and are greatly appreciated.